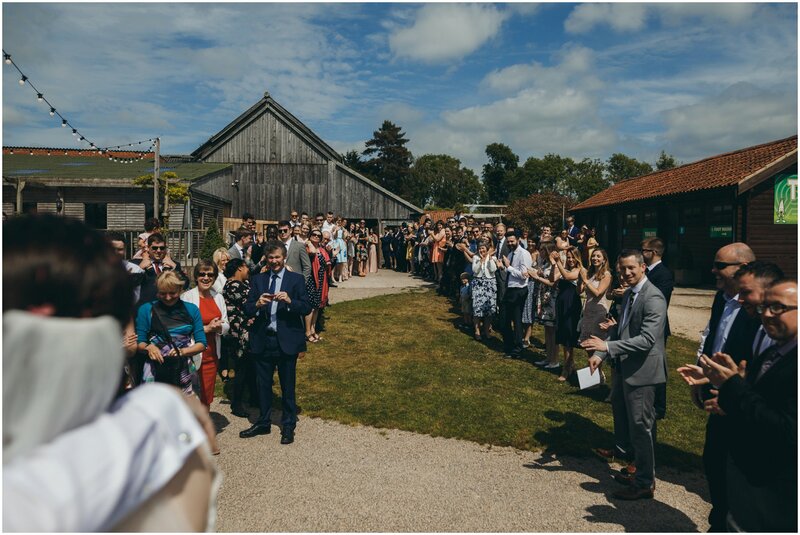 York Maze Wedding Photography I had no idea what York Maze was never mind the fact that you could get married there! 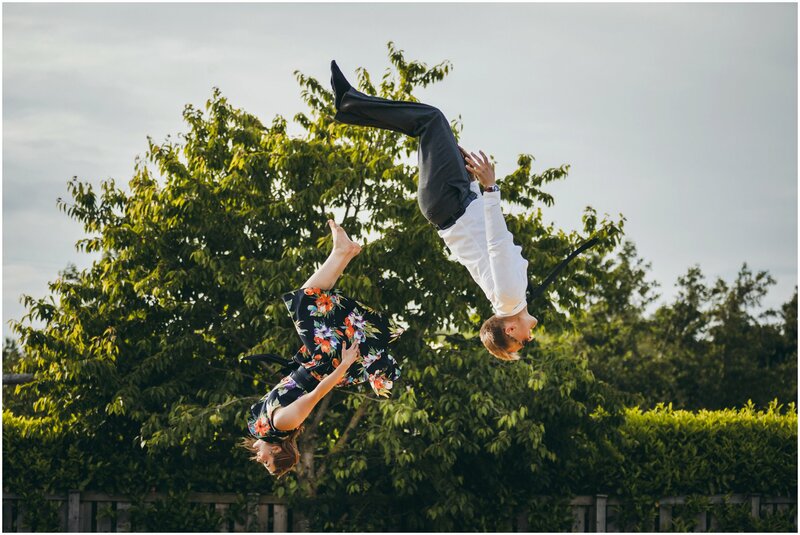 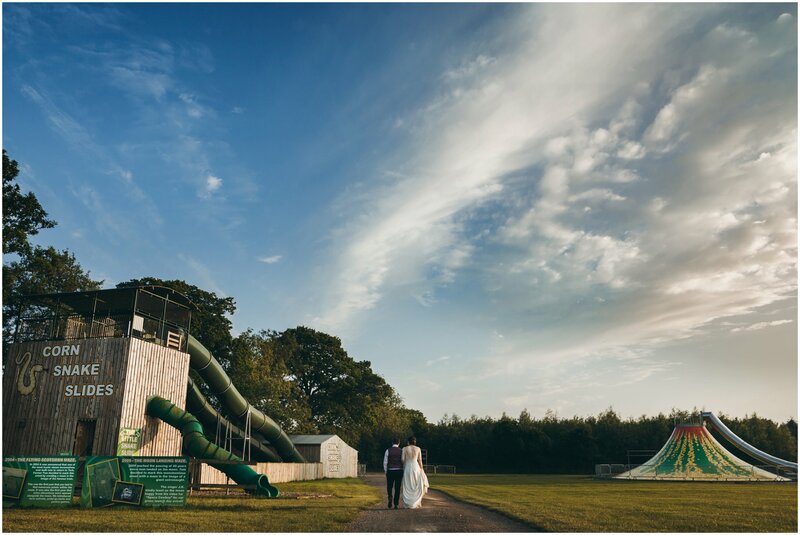 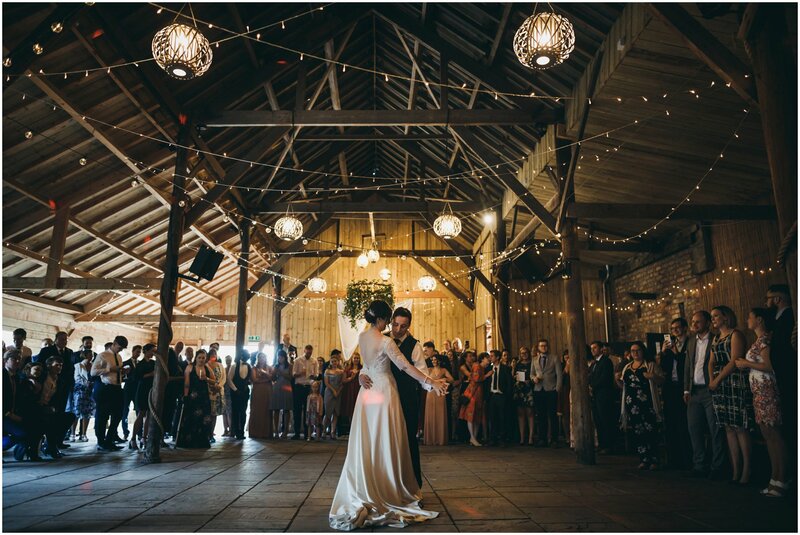 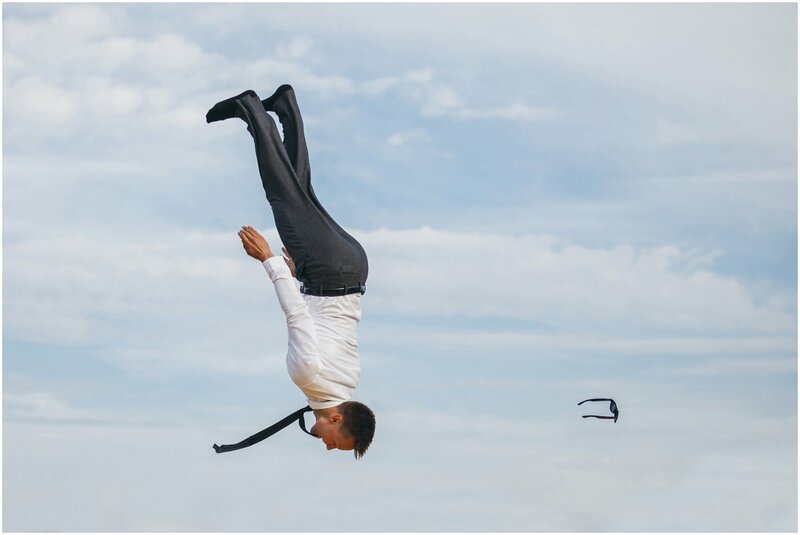 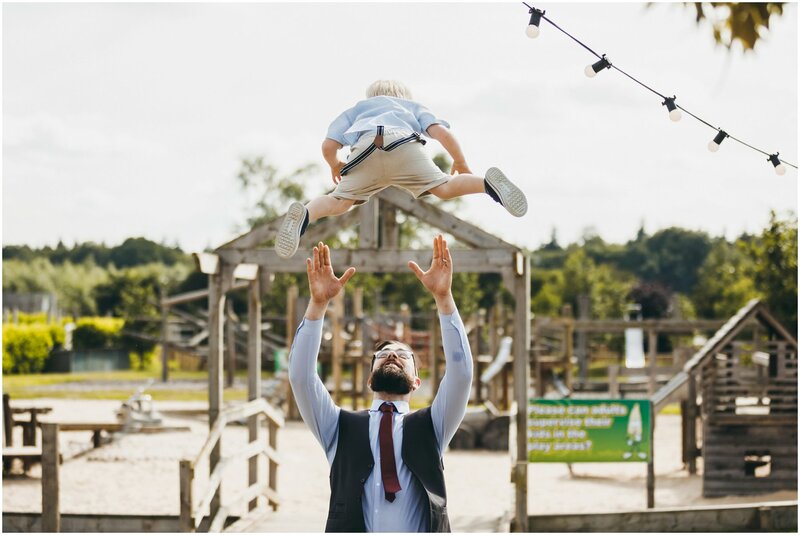 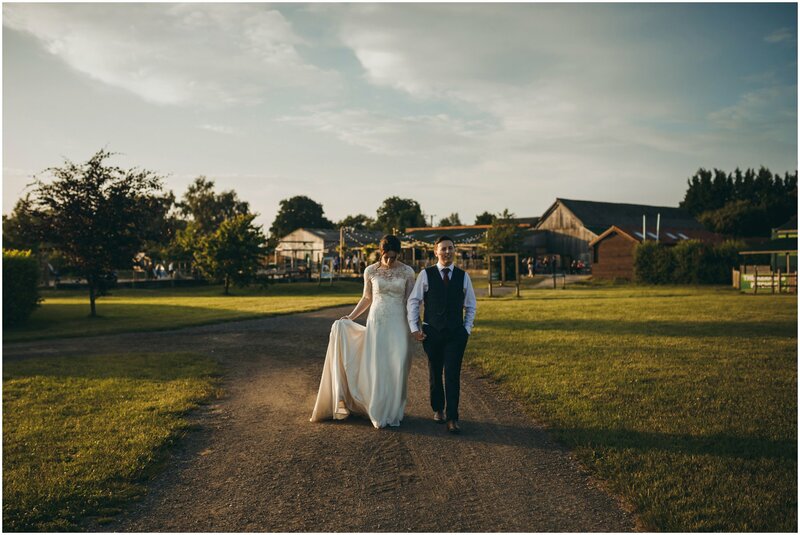 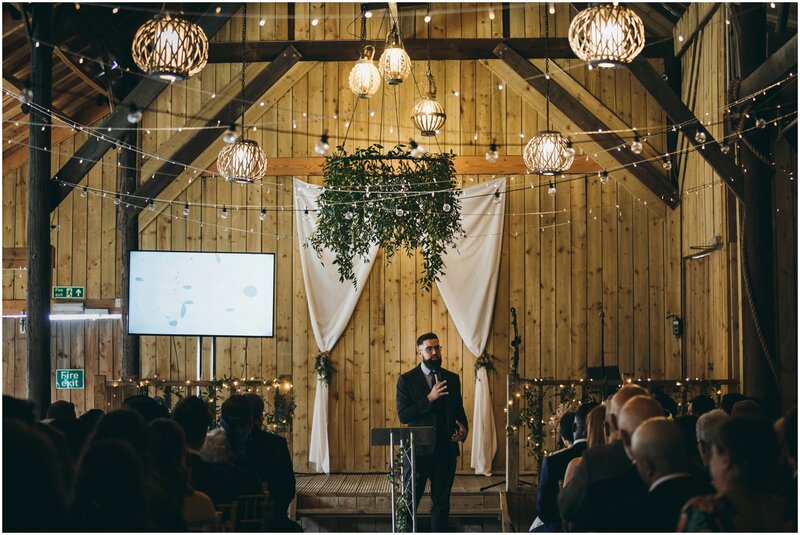 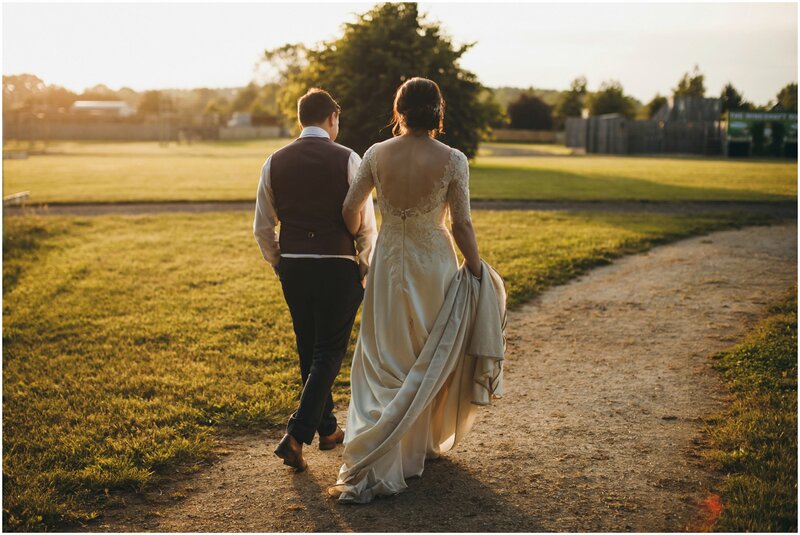 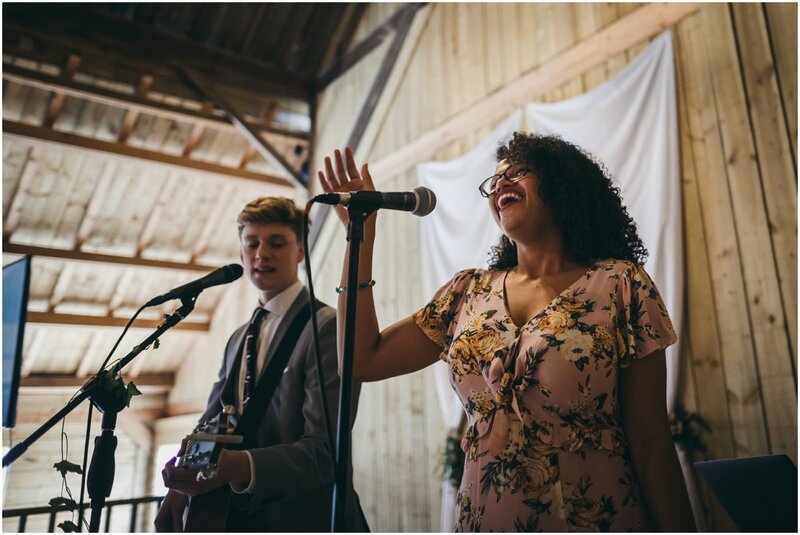 Yes it has an amazing barn, beautiful old farm buildings but lets be honest… who doesn’t want a wedding venue with huge bouncy thing, slides and a park!? 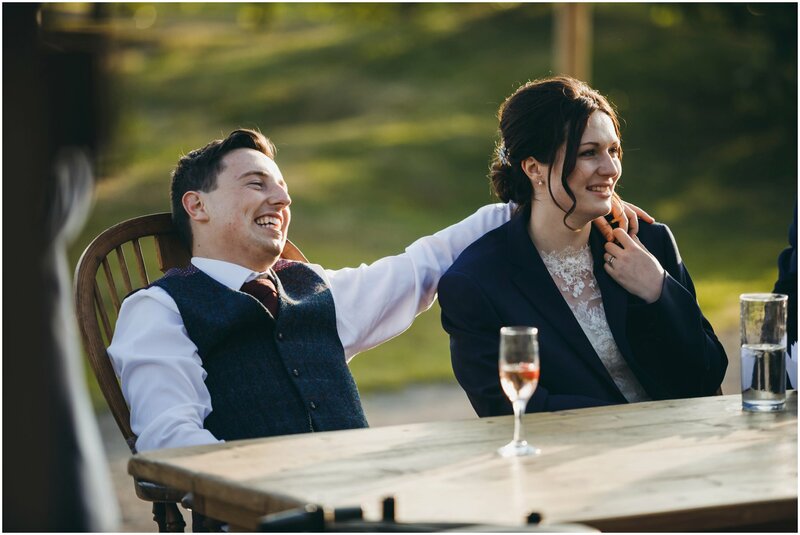 I see a wedding as a series of moments. 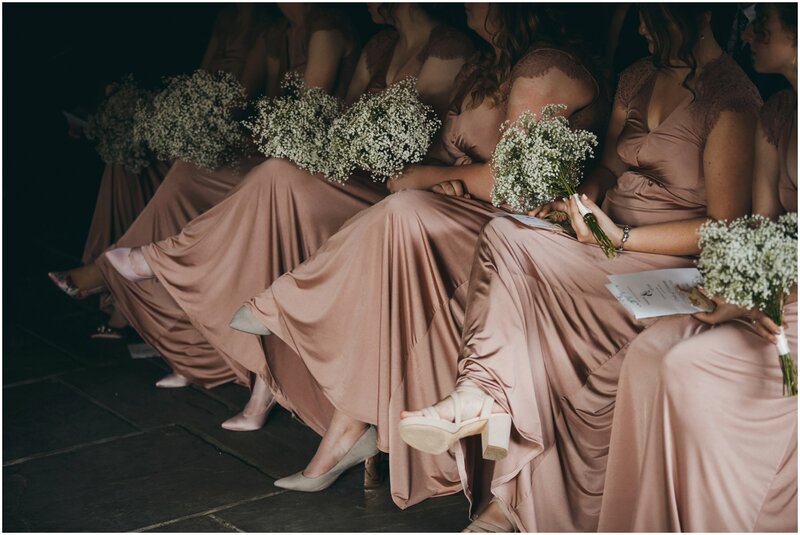 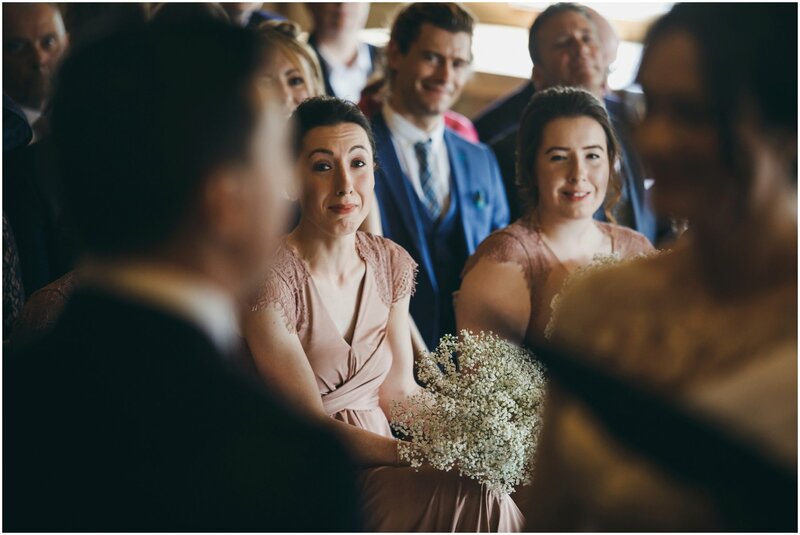 Different scenes and settings fire my imagination and the more that is going on during a wedding the more I enjoy the challenge of being a wedding photographer. 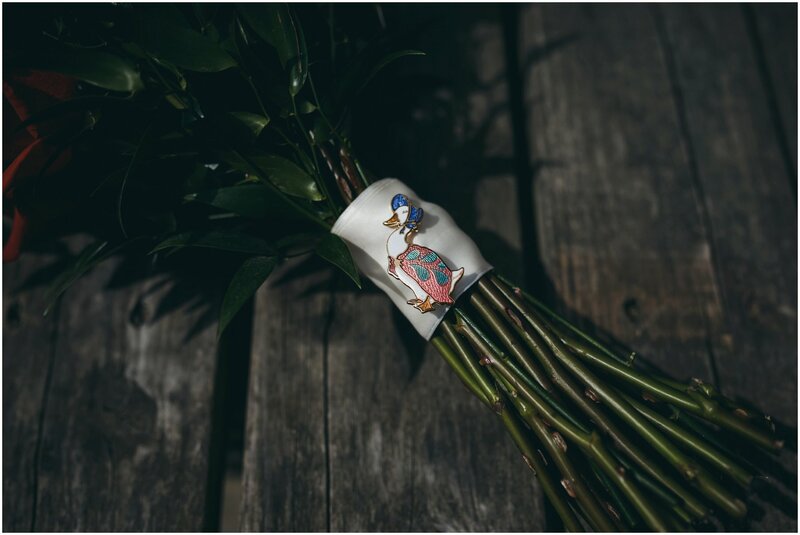 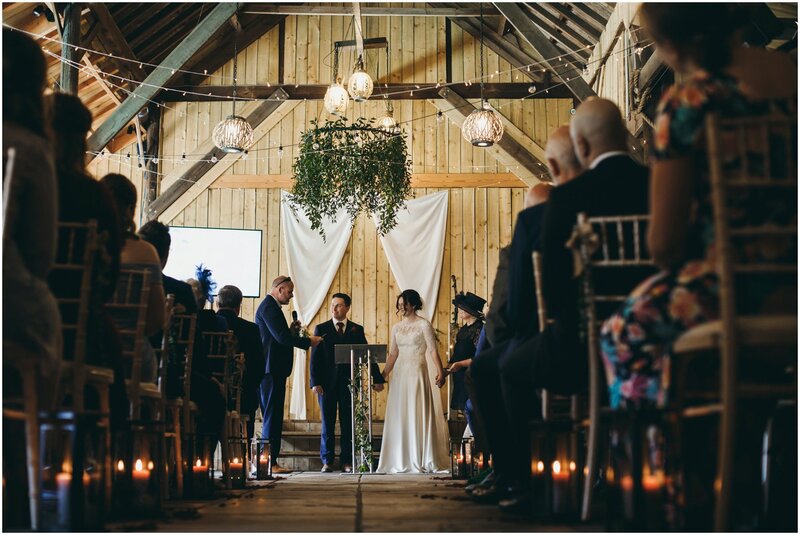 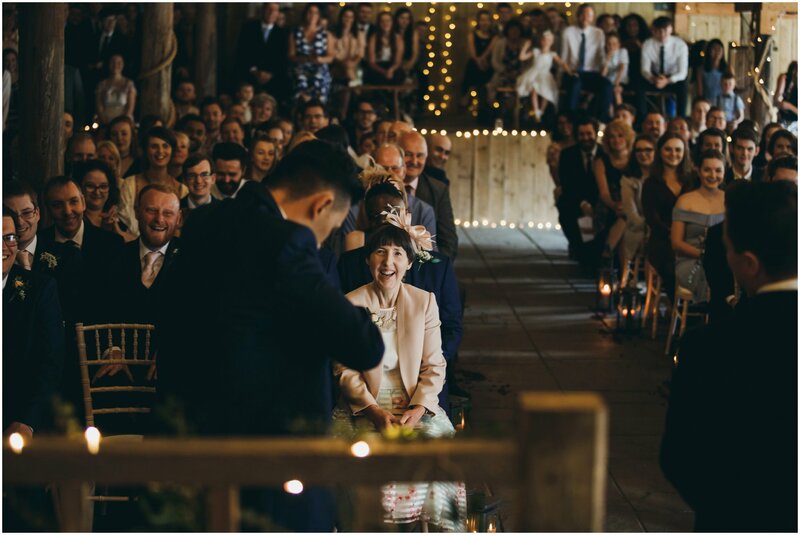 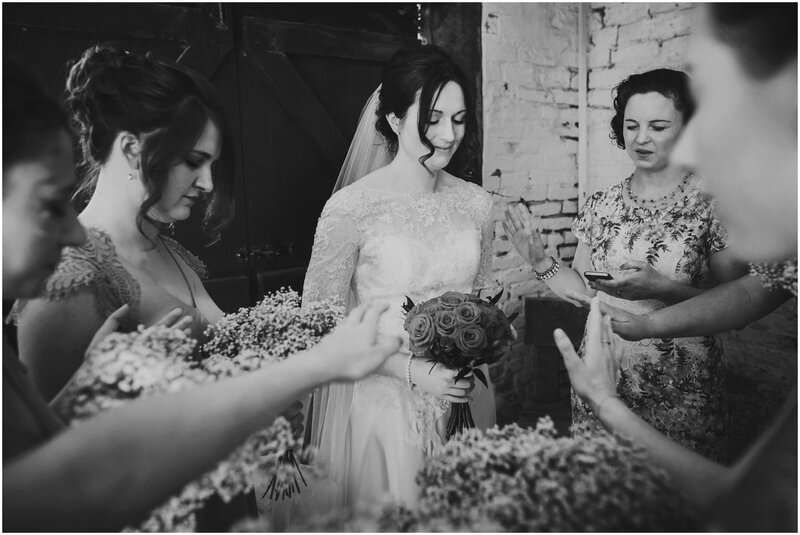 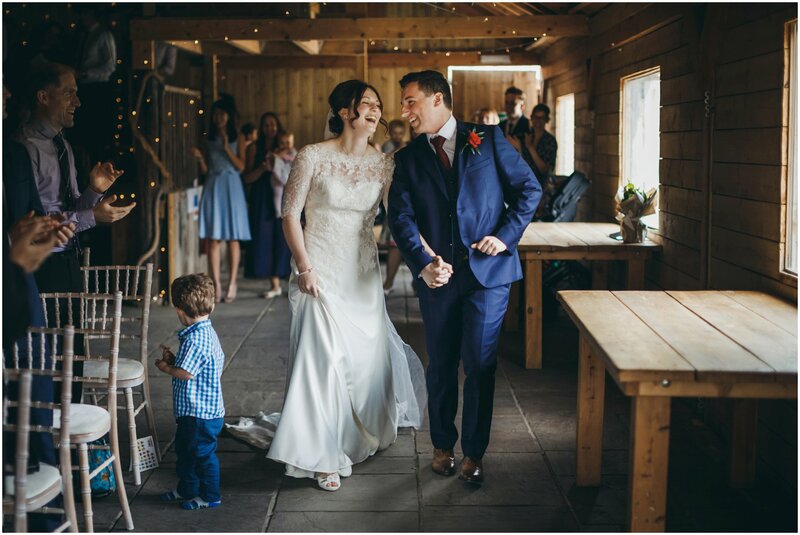 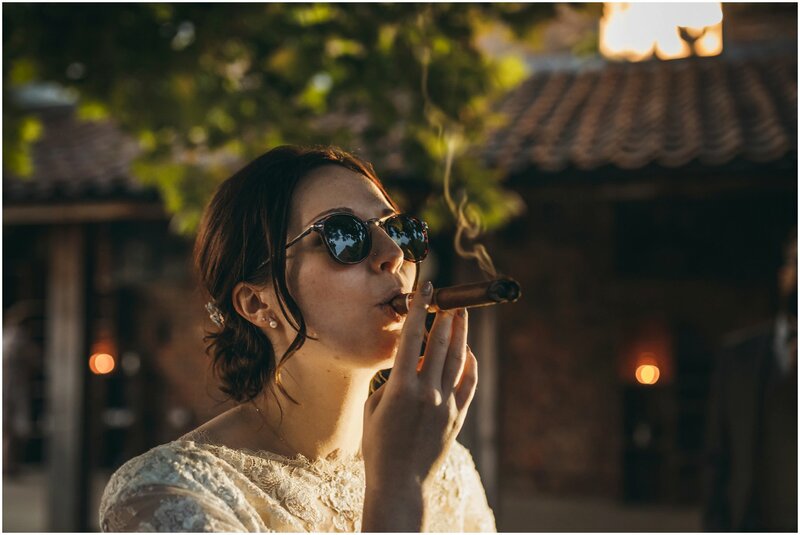 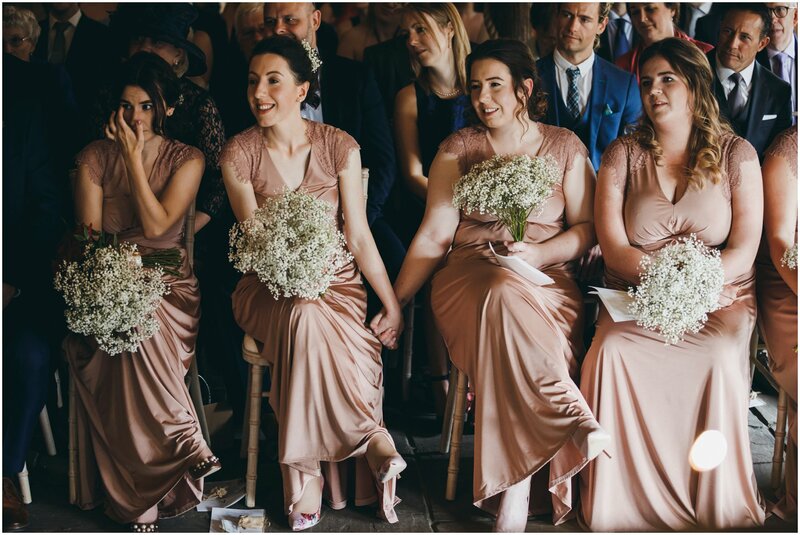 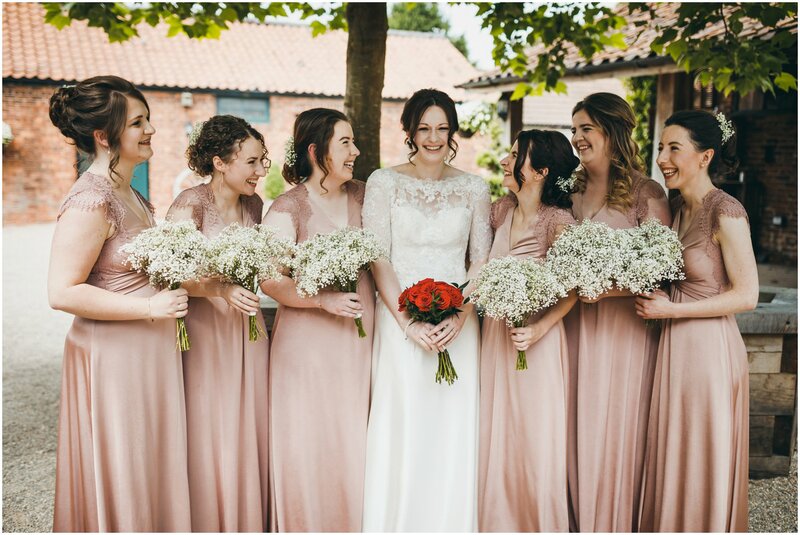 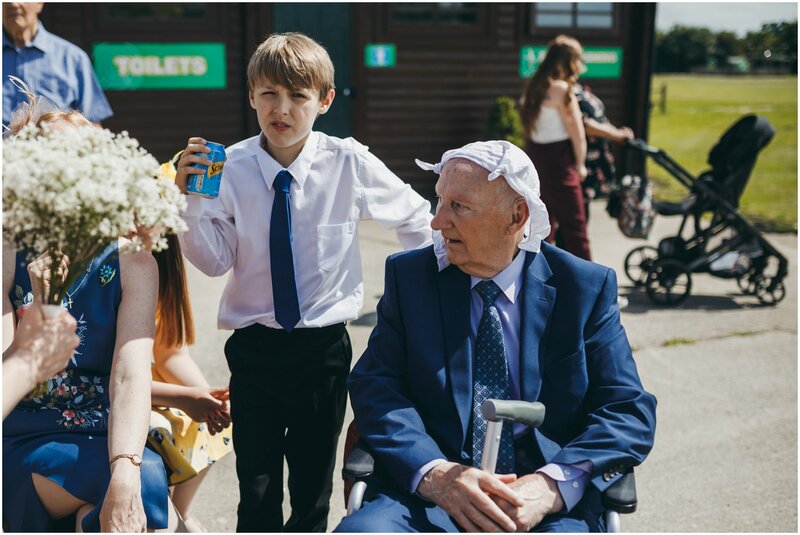 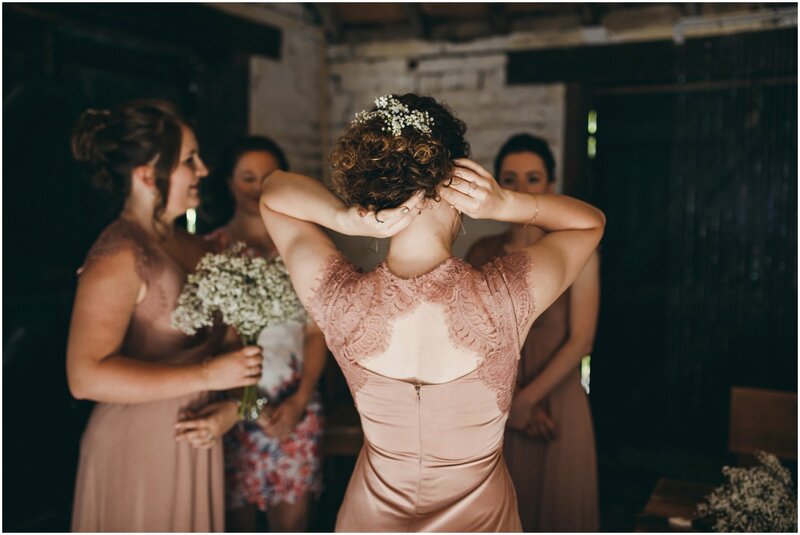 Louise and Sam provided no end of really special moments at their wedding. 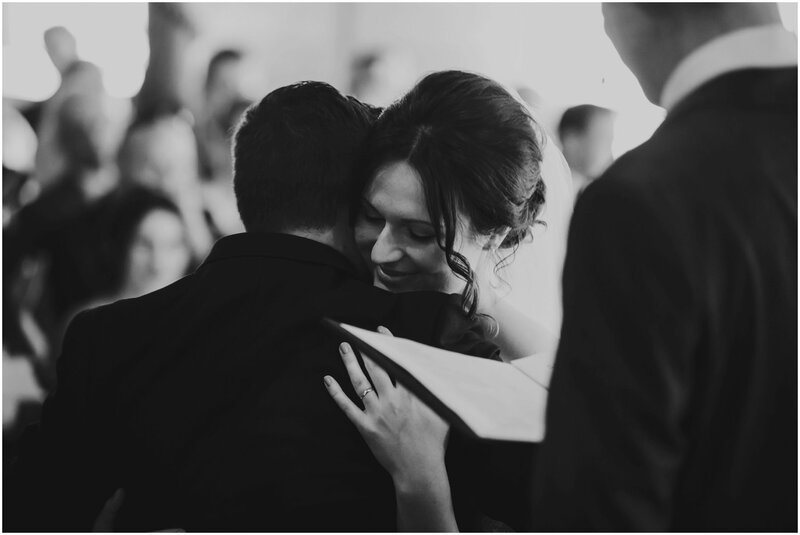 Really intimate moments and tonnes of love. 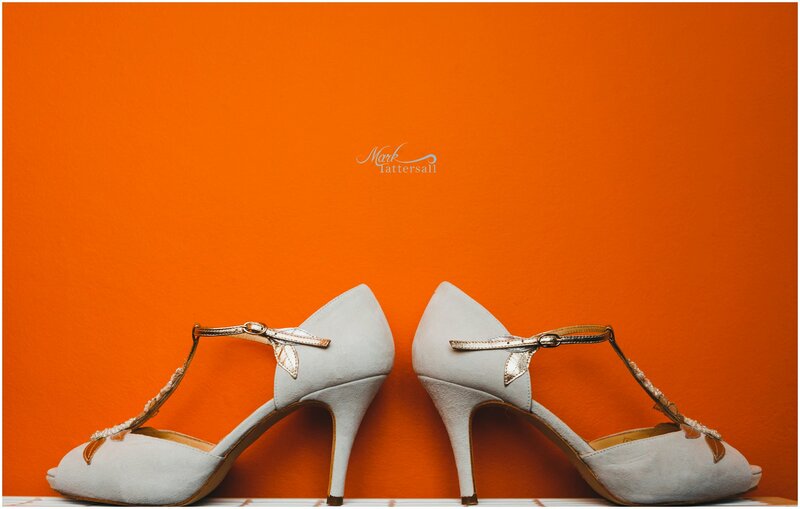 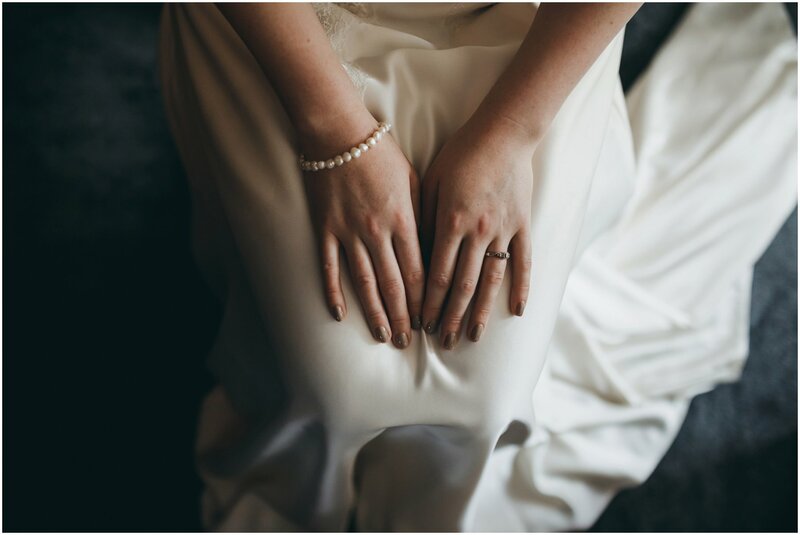 Wedding photography is 70% empathy, 20% planning and 10% clicking a button. 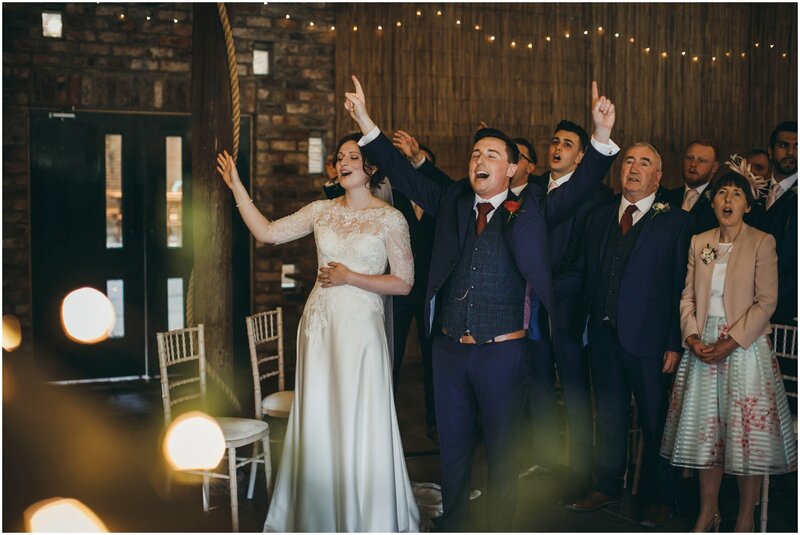 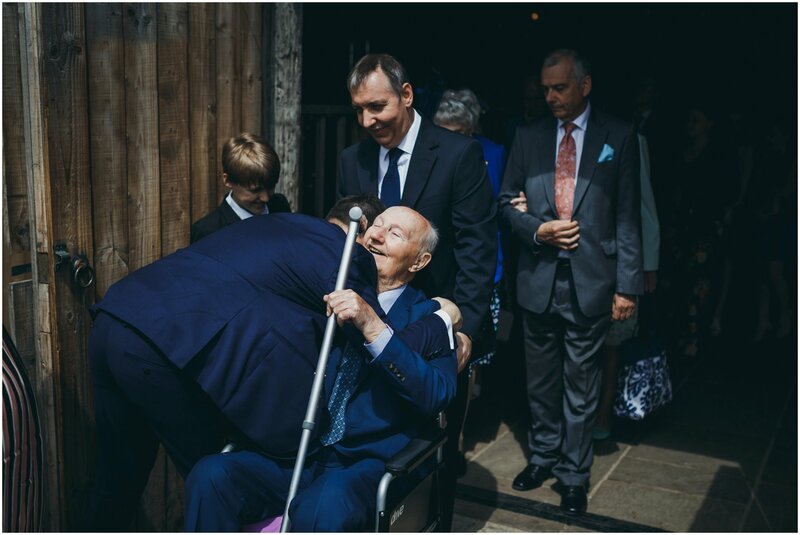 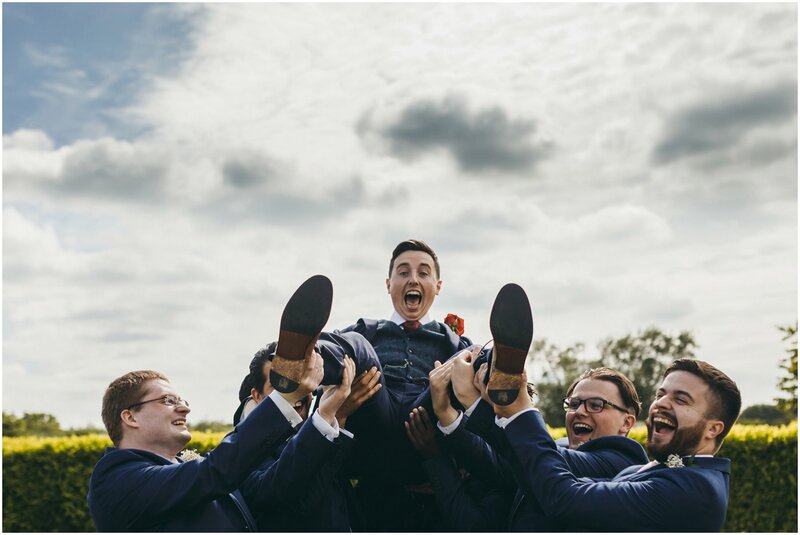 I feel a massive part of being a wedding photographer is reaching that moment when (especially) the couple genuinely let go of all inhibitions and just ‘be’ in the moment with each other and when this happens all I have to do is point the camera in the right direction and ‘click’. 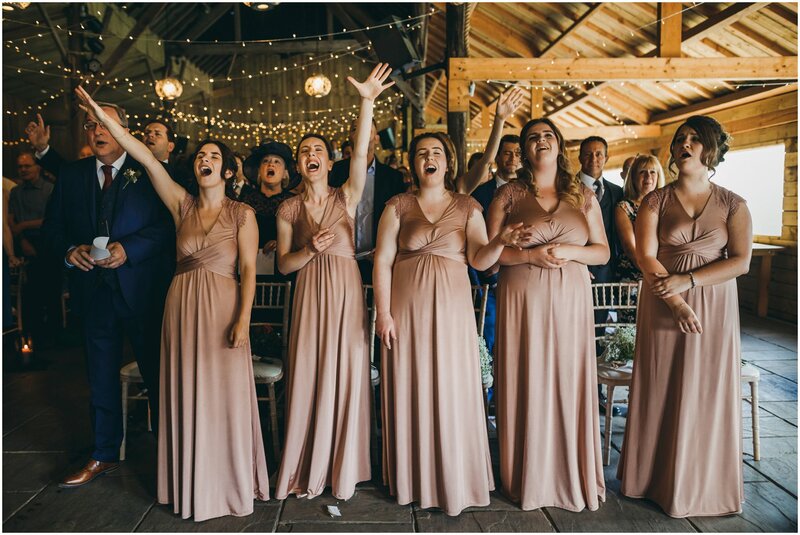 Yes, setting up a shot happens when I need to but when I see a picture of pure joy, as if the camera wasn’t there, they are the pictures that transport me right back in the moment. 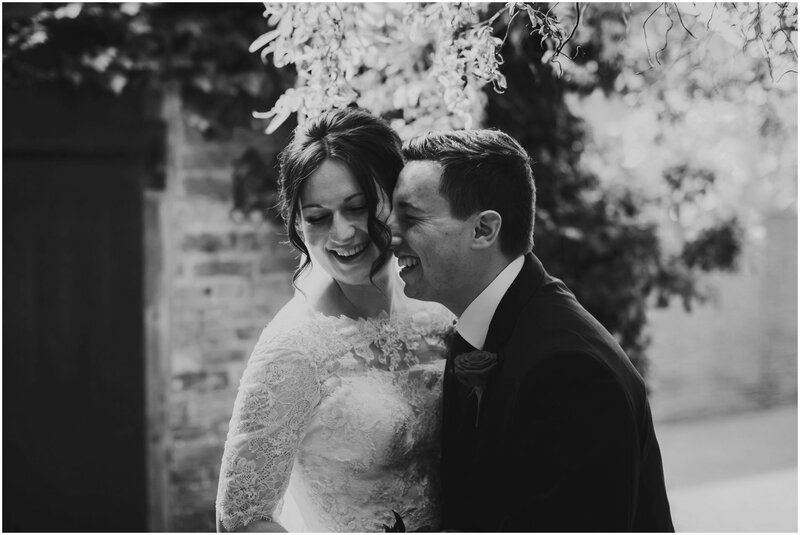 Some couples are more comfortable in front of the camera but I would say many more couples I work with feel pretty uncomfortable with a photographer. 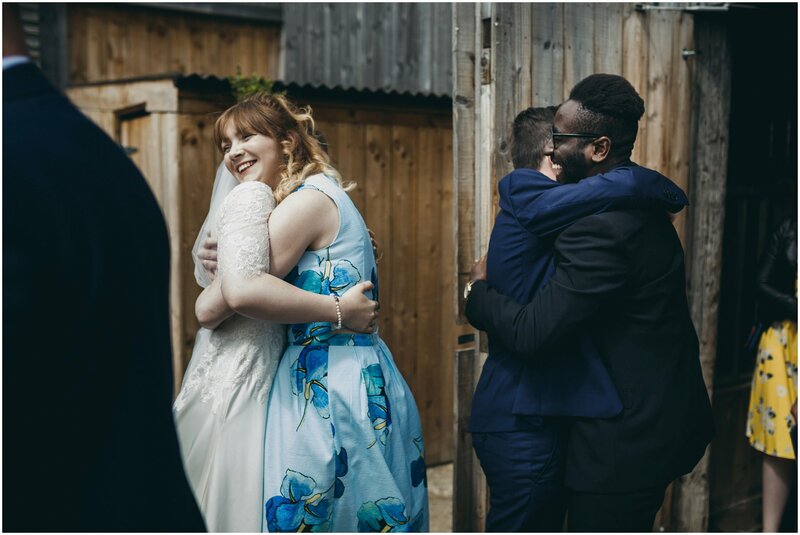 Louise and Sam were really fun and so were all their guests. 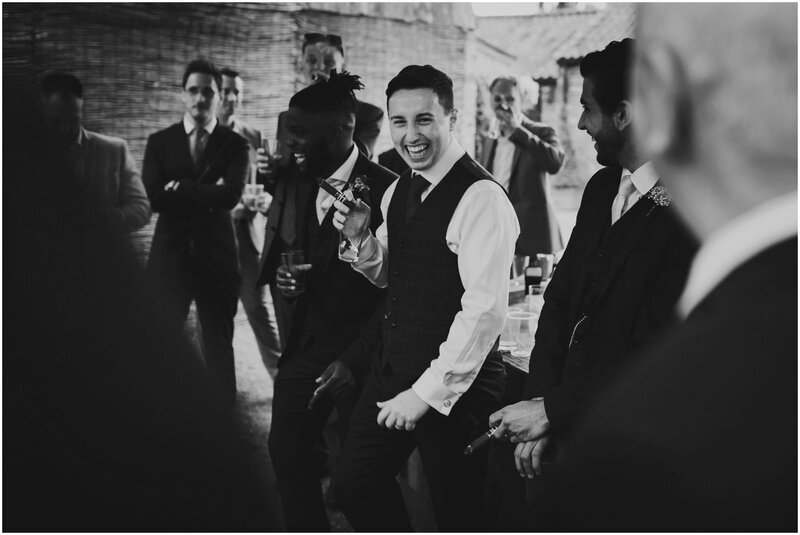 The love, laughter and energy of the wedding was everything I needed. 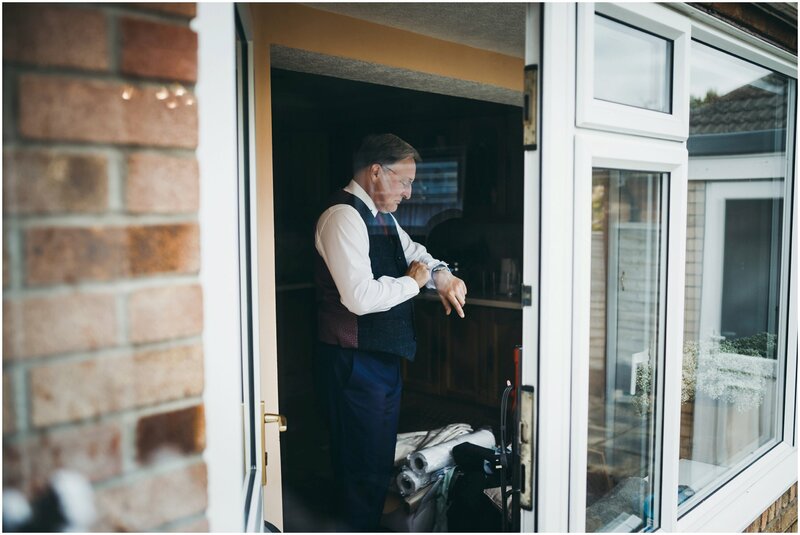 Instead of setting shots up I went for a total reportage approach, letting things happen and working hard to catch the moments that best told the story of their day.